→Can a Keto Diet Help You Manage Your Irritable Bowel Syndrome? Irritable bowel syndrome (IBS) is a chronic functional disorder affecting the large intestine. IBS is believed to be a disorder related to both the intestine and brain, causing abnormal gut function and increased sensitivity. IBS symptoms may occur due to abnormal intestinal contractions, digestive system nerve anomalies, intestinal inflammation, infection, or changes in the intestinal microflora (1, 2). There are three different types of IBS: constipation-predominant (IBS-C), diarrhea-predominant (IBS-D), and mixed (IBS-M). 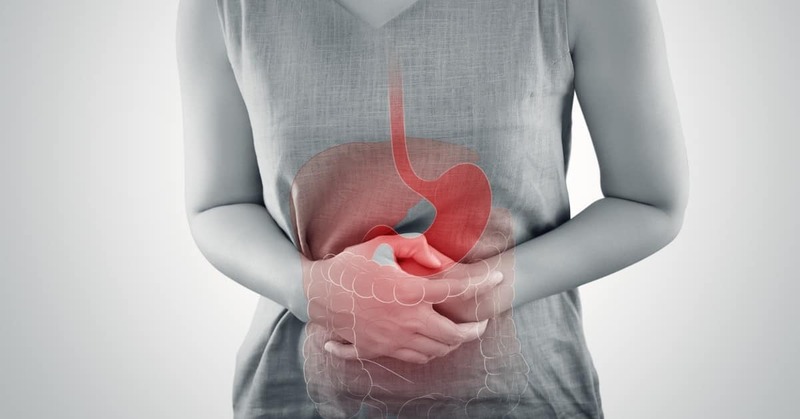 Symptoms may vary depending on the type of IBS, including diarrhea, constipation, gas, cramping, bloating, mucus in the stool, and abdominal pain. Symptoms often improve after a bowel movement (3). What Can You Do to Manage IBS? There are a number of strategies to that can be used in the management of IBS, such as avoiding certain foods, making sure you’re getting enough rest and exercise, consuming a good quantity of fiber (or having a fiber supplement if necessary), to taking medication to relieve the symptoms. Medical management of IBS often includes prescription medications, such as antimotility agents to decrease intestinal spasms in IBS-D or stool softeners for IBS-C. IBS cannot be cured – rather, the goal is to maximize the quality of life by relieving symptoms. As IBS appears to have a component linked to mental health, many prevention methods and treatments for IBS relate to lifestyle changes and managing stress. Adequate sleep, hydration, dietary fiber, and physical activity tend to improve IBS symptoms. While stress alone cannot cause IBS, it does tend to aggravate symptoms, and proper stress management is highly encouraged (4). Dietary changes may also be recommended for the management of IBS symptoms. Many people with IBS can recognize foods that trigger or exacerbate their symptoms. Although these triggers may not be to the level of food intolerance or allergy, certain foods and beverages can cause a symptomatic flare. Some common triggers include cabbage, carbonated beverages, dairy products (including milk), wheat, beans, and citrus fruits. Many people with IBS are triggered by high-FODMAP (fermentable oligo-, di-, and monosaccharides and polyols) foods. The mechanism by which this occurs appears to be related to the fermentation of short-chain fatty acids (SCFA) present in high-FODMAP foods, which produces excess gas in the intestines and prompts symptoms (5). Foods that are typically high-FODMAP include certain fruits (such as peach, pear, apple, mango, and watermelon), vegetables (such as broccoli, cabbage, asparagus, artichoke, leek, garlic, onion, okra, beetroot, Brussels sprout and fennel), grains, and dairy (6). Since the majority of high-FODMAP foods are high in carbohydrates, the ketogenic diet has been used by many for because of its ability to improve symptoms of IBS. Research is limited at the moment; nevertheless, many people report a drastic improvement. The ketogenic diet was originally developed as a treatment for children with severe epilepsy, as it was discovered that high fat and very low carbohydrate intake decrease the severity and frequency of seizures. 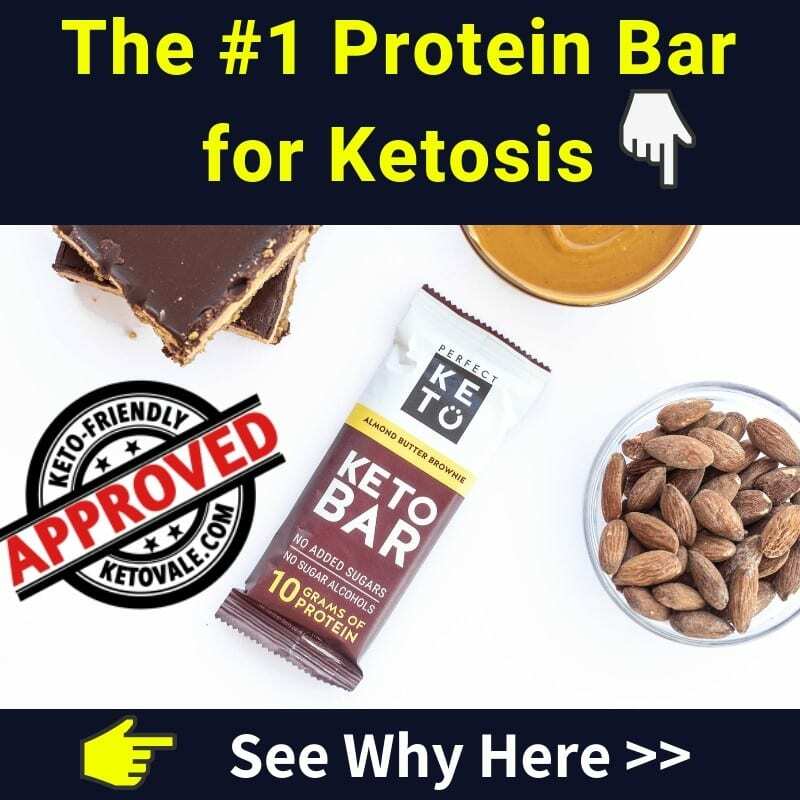 By maintaining a very low intake of carbohydrates (typically 20-25 grams daily), following a ketogenic diet prompts ketosis – the production of ketones to be used by the brain and other organs for energy (rather than glucose). 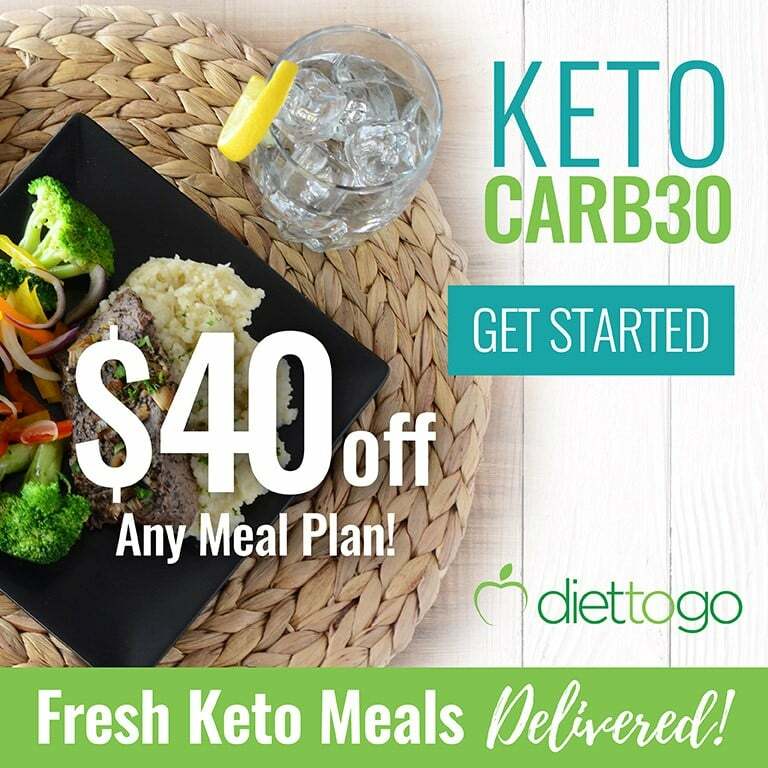 Macronutrient ranges in the ketogenic diet may vary, but typically people will either consume 20-25 grams of net carbohydrates (total carbohydrates minus dietary fiber) per day or limit their carbohydrate intake to 5 to 10 percent of total caloric intake. Some people may follow a protein to fat ratio of 1:1 or 1:2, while others prefer to consume protein as a certain percentage (often around 25 to 30 percent) and fat to satiety. If you want to find out your personal macros, it’s highly recommended to use a ketogenic macros calculator. Alternatively, optimal protein consumption can be calculated based on your (estimated) lean body mass, which is arguably the best method. 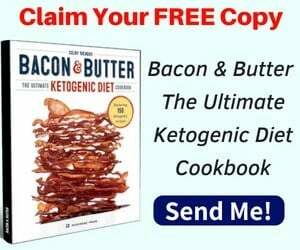 The ketogenic diet has been used for many health problems beyond childhood epilepsy – including weight loss, improved glycemic control in type 2 diabetes, prevention of brain disorders (such as Alzheimer’s and multiple sclerosis), and as a complementary treatment to some types of cancer. 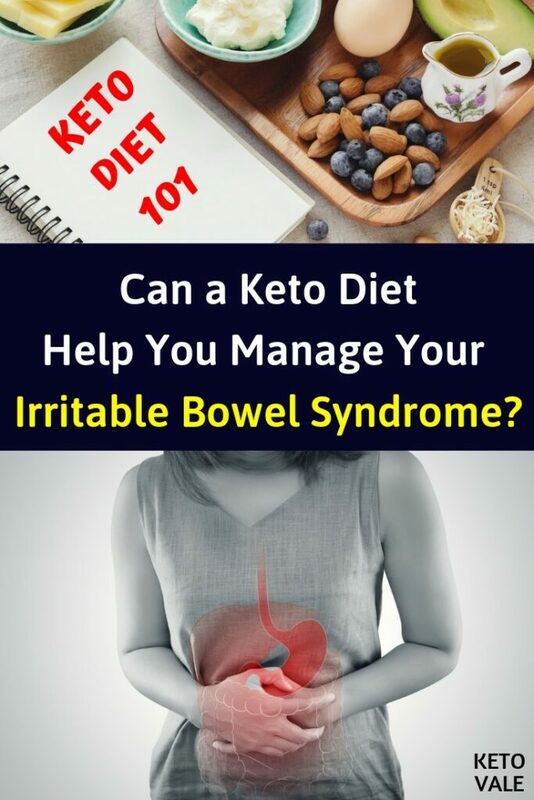 How Can Keto Help Manage IBS? As IBS can drastically affect the quality of life, many IBS sufferers are willing to make big lifestyle changes to reduce the severity and frequency of their symptoms. 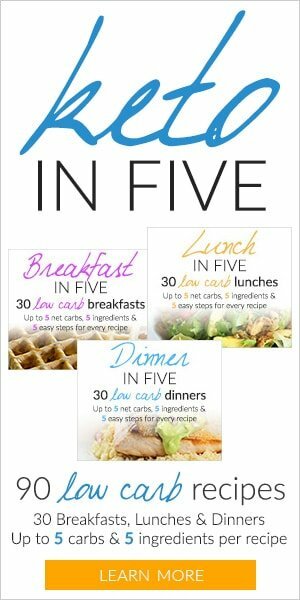 Trying different diets can be a relatively easy way to find out which foods and diets work best for you. The ketogenic diet allows the body to function in a slightly different way than a high-carbohydrate diet (especially in terms of gut health), many people are willing to give it a try – it could have plenty of other benefits, beyond the management of their symptoms. While research on the low carb and ketogenic diets for IBS sufferers is limited at this time, results are very promising, especially for people with IBS-D or IBS-M.
One study from 2009 concluded that individuals who started on a high-fat, very low-carbohydrate diet (20 grams or less per day) subjectively reported symptom relief from IBS, including decreased abdominal pain, fewer bowel movements per day, and better stool consistency (7). Other studies have examined the relationship between malabsorption of one or more types of sugar and IBS. Fructose and lactose are commonly implicated in triggering IBS symptoms. These sugars are avoided both in a low-FODMAP diet and in the keto diet (8). Although dietary fiber intake could be somewhat lower on the ketogenic diet due to the low consumption of fruit, higher carb vegetables, and whole grains, it’s still possible to get more fiber from low-carb high-fiber foods. 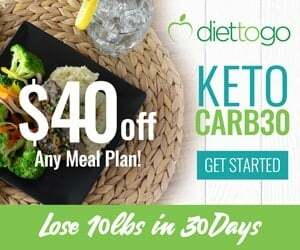 If you are following the ketogenic diet for IBS treatment, we encourage you to pay particular attention to your fiber intake and to strive to keep it within the range of 20 to 30 g daily, especially for IBS-C. A well-formulated keto plan should consist of a good amount of fiber from low-carb vegetables. Fiber supplements can be helpful, too. Fiber intake should be increased slowly to avoid discomfort: if you suddenly increase (or decrease) your fiber intake by a lot, without giving your body time to adapt, you risk exacerbating your symptoms. 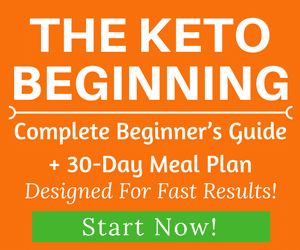 What Are The Foods To Eat And To Avoid If You Have IBS And Decide To Try Keto? Suffering from IBS has most likely made you aware that certain foods make you feel better and are easier to digest, while others provoke symptoms. Identifying your trigger foods can be a lengthy process, so here are some ideas to start with. There are plenty of foods that are low-carb and low FODMAP at the same time, and will likely have a very positive effect on your IBS symptoms. Fruits: Some berries, for example, blueberries, strawberries, raspberries (please note that blackberries are a high FODMAP food and do not fall in the same category). Nuts: Macadamia, walnuts, pumpkin seeds, almonds. Fats: Extra virgin olive oil, avocado oil, walnut oil. Dairy: some dairy is actually quite low in lactose, such as cheddar, feta cheese, parmesan, cream. Beverages: water, tea (black, green and white), coffee, peppermint tea, almond milk (unsweetened), coconut milk. You can limit these foods for a while and reintroduce them one by one, giving yourself 3 days for each new food you introduce, in order to see how you react to it. You might find out that you feel better without most of them. Legumes: beans, peas, chickpeas, lentils, kidney beans, etc. What Can You Do in Addition to Keto? As noted previously, mental health hygiene may be key in managing IBS. Depending on the severity of your symptoms and the eventual stress-related triggers, some therapies that can be helpful include cognitive-behavioral therapy (CBT), biofeedback, hypnotherapy, relaxation training, psychotherapy, yoga, mindfulness training, acupuncture, and meditation (9). Lifestyle changes, such as following a structured eating pattern, not skipping meals, and regular exercise are all recommended for IBS management on a ketogenic diet. Although intermittent fasting (IF) is often used in conjunction with the ketogenic diet, it is not recommended for management of IBS due to the possibility to provoke irregularity in bowel function. Probiotics are often helpful, and peppermint (and peppermint tea) may provide short-term symptom relief. IBS triggers and symptoms can vary greatly between people, and the efficacy of treatment follows similarly. Dietary changes are an incredibly effective method of managing IBS symptoms, and the ketogenic diet can be extremely helpful to many people suffering from IBS. The low-FODMAP diet is typically recommended as the first line of defense – if this is not effective in relieving symptoms to a manageable level, the ketogenic diet may be the most appropriate, in combination with low-FODMAP. Successfully managing IBS symptoms takes a lot of trial and error, and you’ll need to spend a lot of time observing the reactions of your body to different foods and, ideally, writing them down, so that you can have a good overview of what you can and cannot eat, and what triggers particularly bad episodes, so that you’ll know to avoid it completely. The ketogenic diet limits many of the foods that people with IBS are sensitive to and online you can find plenty of success stories of people who are in better control of their condition. While this evidence is mostly anecdotal for the moment, it’s definitely looking promising. Hopefully more studies will soon give further insight into how the ketogenic diet could help patients with IBS. Enjoy this post? Pin to save for later reference!